Dust off your Dutch Oven and serve up this classic grandma’s old fashioned dutch oven beef stew. Tender and fall apart beef, loads of tender veggies in a thick beef sauce. 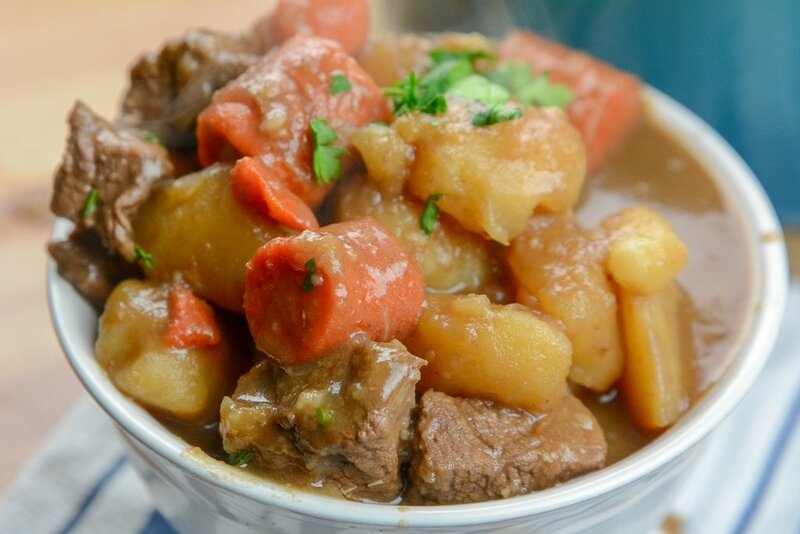 A stick to your ribs beef stew that will be an instant family favorite for young and old. When I say this is the best beef stew recipe to date, I mean it. 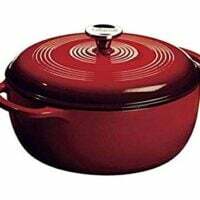 You cook the stew for two hours in a cast iron dutch oven, and as it cooks slowly, it totally tenderizes the meat. 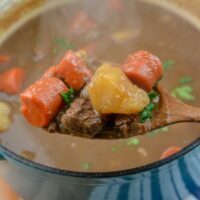 The thick beef broth base combines with the hearty vegetables and brings complete harmony to this old fashioned beef stew. I seriously had this prepped and in the oven within ten minutes. Then I let the Dutch oven handle the rest of the works, as I finished up cleaning up the house and kicking up my feet for a bit. The way this stew makes your house smell as it cooks in the oven is unbelievable. Rich, comforting, and full of aromatic scents that fill every crevice of your home, so you are counting down the timer. So if there is one thing about beef stew that we all know is everyone has their own preference on the texture of the vegetables. I have a tip so you get the exact preference as to the texture of your veggies. Softer Vegetables | Cook all your vegetables in the dutch oven for the entire cook time. This will give you that soft and tender veggie. 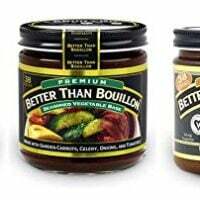 Harder Vegetables | So if you like more of a stiffer texture, add in your vegetables at around an hour of cooking. This will make your vegetables a bit harder when you bite into them. We personally like them soft, so I cook them the entire time. You then get that fork-tender stew meat and vegetables that are packed full of all the flavors from the stew. 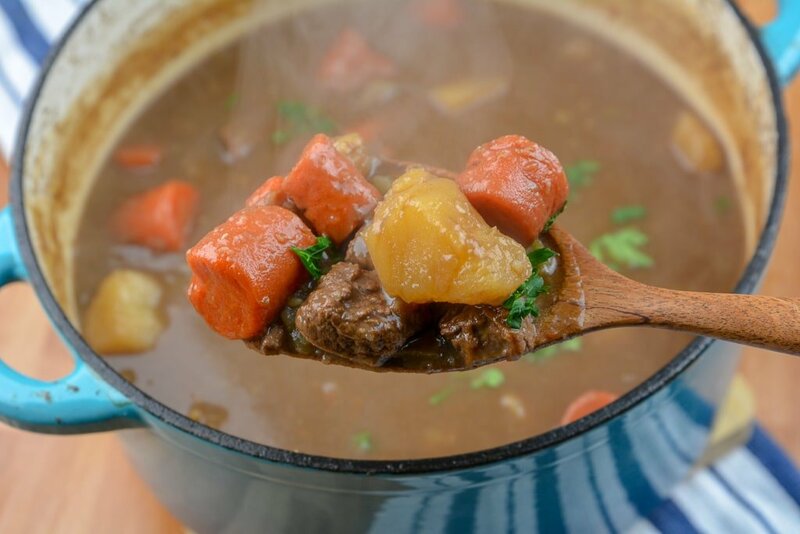 If you find your beef stew isn’t as thick as you would like at the end of cooking, add a teaspoon of corn starch to 1/4 cup cold water and mix. Then pour into your stew and toss in the oven for five to ten more minutes. This will help thicken your stew. Or if you have xantham gum or even guar gum you can add around a teaspoon or less to help thicken it as well. Because you cook it in the Dutch oven it helps lock in the moisture and will thicken naturally as it cooks. But I know some people prefer a super thick base, and if that is the case you can always make it thicker. If it is too thick, add a little stock or water and stir to thin your stew out. Here are a few of the best cuts of beef for stew. Reach for a chuck, short rib, or even a bottom sirloin. You can always ask your butcher at the grocery store or butcher block and they can direct you. I can’t wait for you all to give this old fashioned beef stew recipe a try. 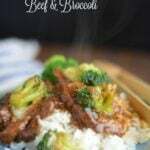 I think if you are a fan of beef and vegetables, this will be a home run recipe for you all. Enjoy. 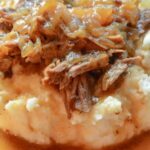 Want stew in your Instant Pot here is a great recipe for Instant Pot Beef Stew. Dust off your Dutch Oven and serve up this classic grandma's old fashioned dutch oven beef stew. Tender and fall apart beef, loads of tender veggies in a thick beef sauce. A stick to your ribs beef stew that will be an instant family favorite for young and old. Place your cast iron dutch oven on the stove on medium heat. Add olive oil, onions, and celery. Place stew meat in the dutch oven. 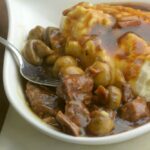 The Flour from the meat should thicken your stew some what you may still need to thicken a little more depending on your preference. 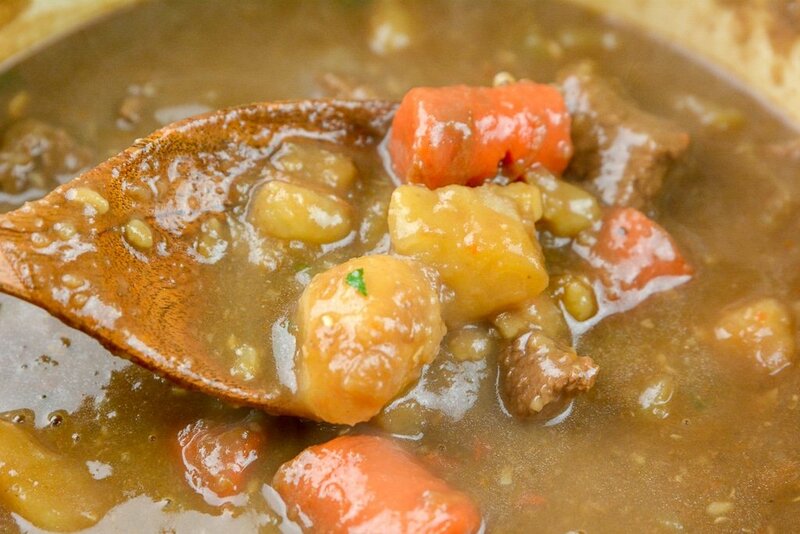 If you find your beef stew isn't as thick as you would like at the end of cooking, add a teaspoon of corn starch to 1/4 cup cold water and mix. Then pour into your stew and continue cooking five to ten more minutes. This will help thicken your stew. Is this beef stew in the oven at 350? I didn’t see a temperature on the recipe.